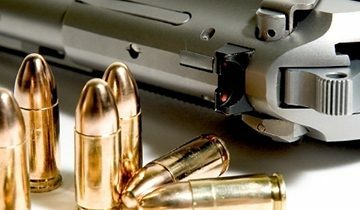 When it comes to guns, one of the biggest complaints among owners is that there’s a lack of safe, accessible options when storing your gun. If an intruder walks in the door and your gun safe key is out of reach, guess what? Your gun isn’t protecting your family. 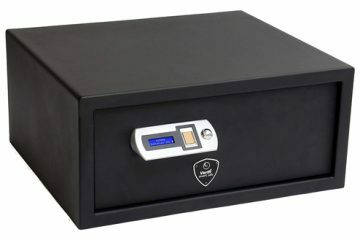 SentrySafe offers biometric, quick access safes that keep your gun safe yet accessible. You’ll be able to access your firearms at any time – no fiddling with keys or losing access to your firearm. When an intruder enters your home, all it takes is a fingerprint to be able to access your safe. 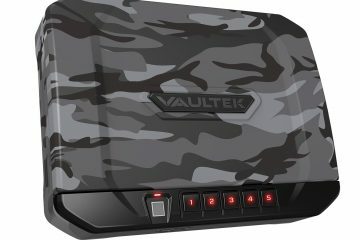 The California Department of Justice has certified this safe for firearm storage and protection, so you know that it will be able to withstand a lot of abuse. 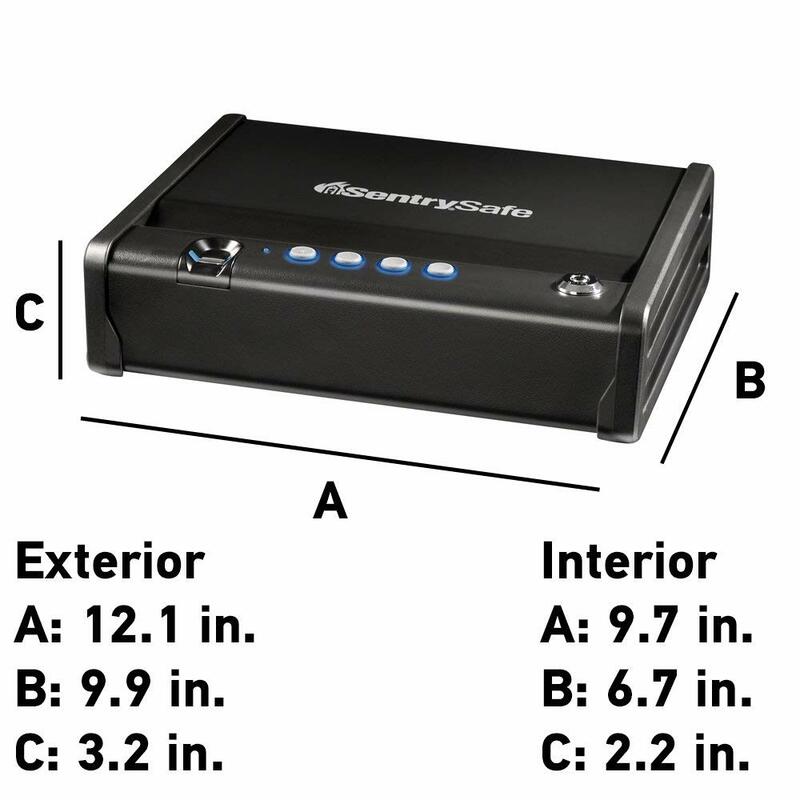 If you don’t know how to set up a biometric Sentry Safe for a gun, it’s easy. First, it comes with four fingerprints that can be stored, so you can setup prints for your spouse, kids or other family members. The key will be how you open up your safe and program it the first time. You’ll be able to clear both the keycode and fingerprints to program your own security settings. Instructions are provided that will allow you to program your safe in a minute or so. 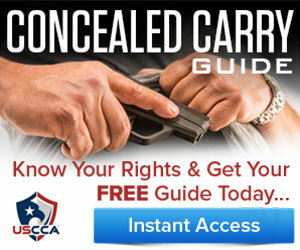 You’ll always be able to access your firearm, and this model holds a single firearm, using any of the three different methods of access listed above. Keep in mind that the safe goes into standby mode so that the 4 AA batteries have their battery life protected from unwanted drain. This means you’ll have to press one of the unnumbered buttons to wake up the safe before entering your four-digit code. 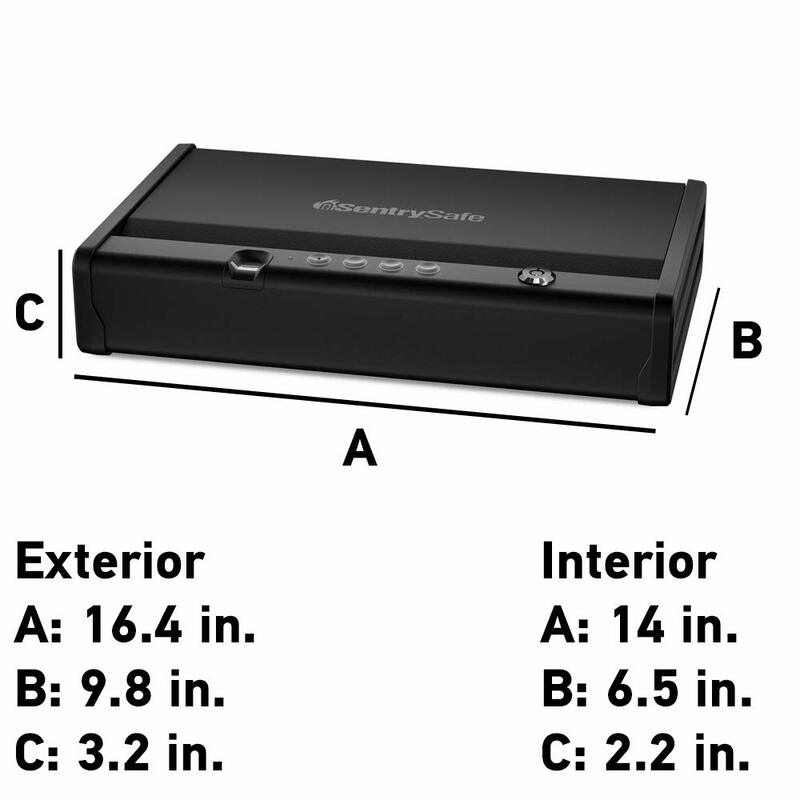 Now, since the safe is just 11 pounds, someone can easily pick it up and move it. But bolt down hardware is included that allows you to bolt the safe securely to the wall or other surface. It’s going to stay safe and secure. When you access the safe, compression gas struts automatically open the door for safe, discreet unlocking. No one will hear the safe open. Swipe your finger on the reader, and it will open. It’s single-handed access to all of your safe’s contents. Speaking of your contents, there is a soft interior lining available that keeps all of your items from being scratched or damaged. 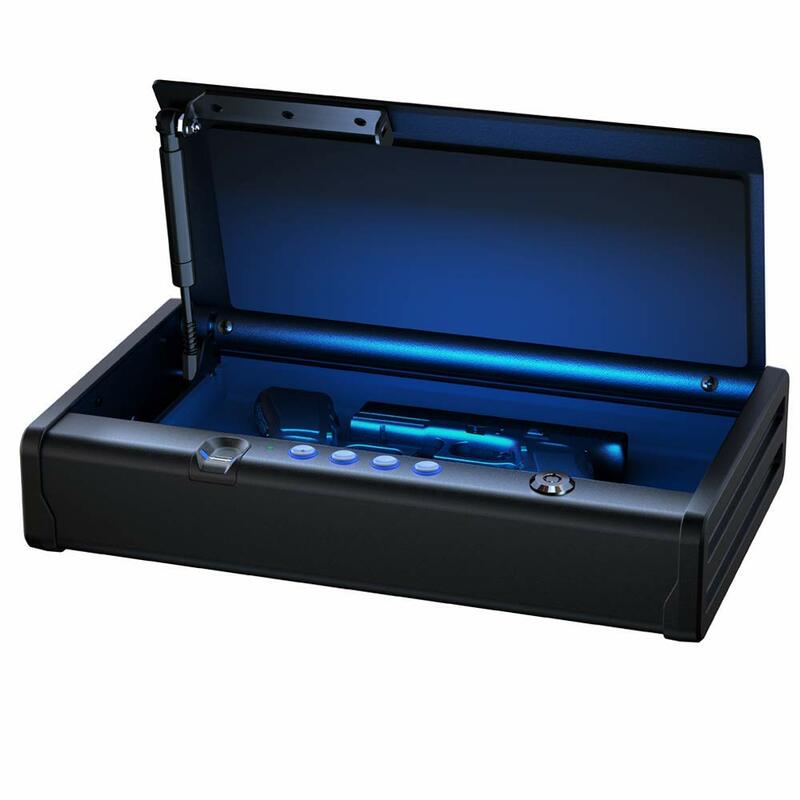 It’s a quick-to-access safe, and it’s certified by the California DOJ. Batteries should not be the rechargeable type that don’t have ample battery life. You’ll want to use four AA alkaline batteries that have an expiration date of 8 to 10 years for best performance. Battery life is a concern for some users, and some even consider hard-wiring their safe into their home’s electric. Hard-wiring is up to the user, and there’s always a chance that you’ll break the safe in the process. Battery life may be shorter than most users hope, but other users don’t have a battery life complaint. That’s where keeping the access key in a safe place can help because it allows you to regain entry to the safe to change batteries. The unit goes into emergency mode when the batteries are depleted, but this is common with most battery-operated safes. Other users have had no issues with the battery for over two years, so buy good quality batteries and you should be fine. 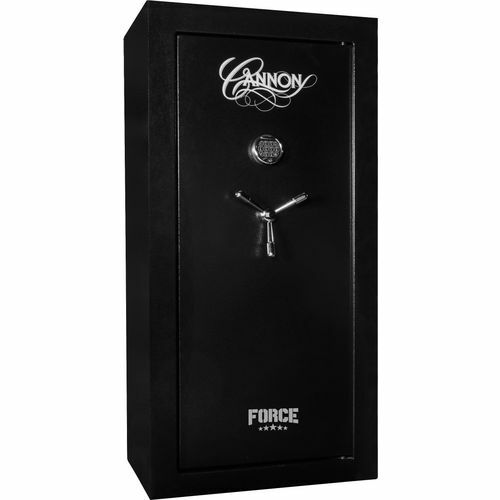 For one gun, this is a great safe that will keep your family safe and your firearms safe if theft does occur. But what if you have more than one gun? 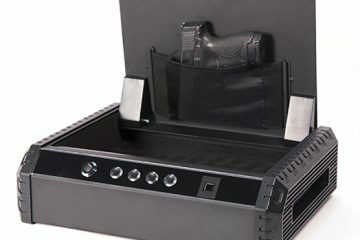 Sentry Safe’s QAP2BEL model is what you’ll want if you plan on storing more than one gun in your safe. 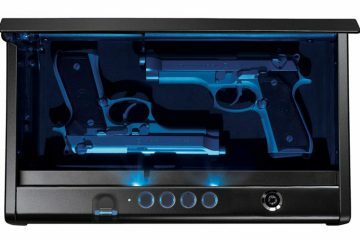 This is the extra-large version, but it does come with LED interior lights that make it easier to see which gun you’re pulling out. But everything else is the same with this SentrySafe model. You’ll pay more for this model, but you’ll have access with four different fingerprints, keycodes or keys. 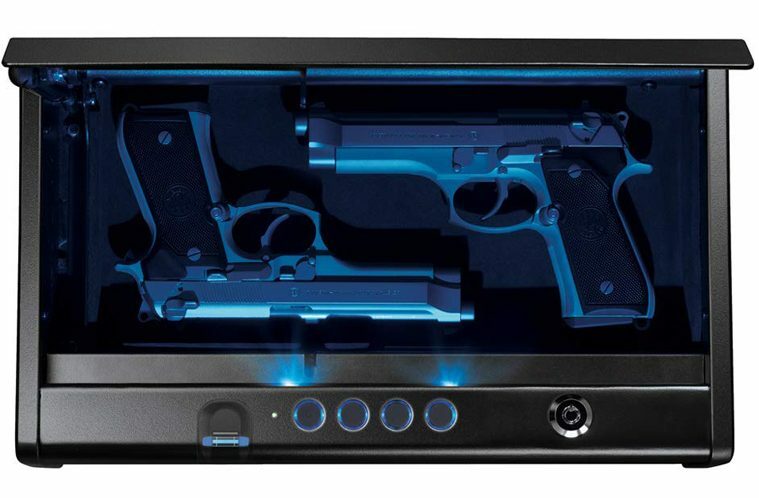 You’ll also be able to mount this safe as well as enjoy pry-resistant design. 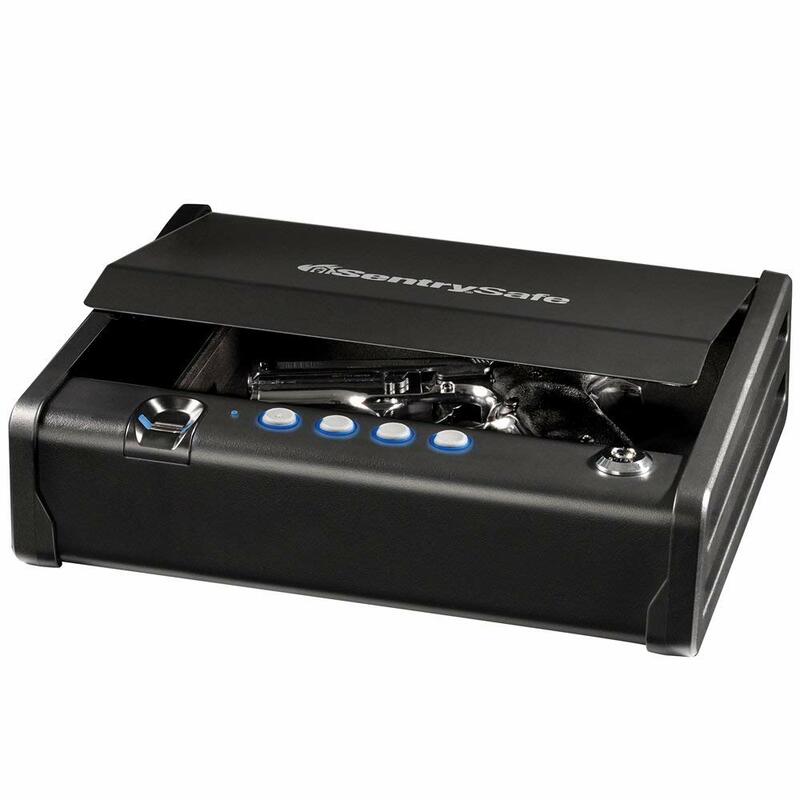 SentrySafe’s sleek design and quick access makes it one of the best brands to trust with your gun security. From build quality to certification and safety, both of these models offer industry-leading protection.